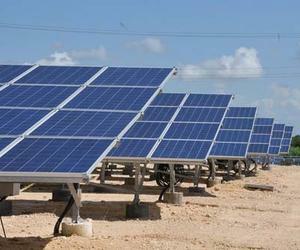 A solar park, the first in this Cuban western province, will be gradually integrated into the national energy system starting in 2014, experts said Wednesday. The solar park, which is now being built outside the city of Pinar del Rio, will have an initial capacity of 2.5MW but could later reach up to 15MW, said scientist Efren Espinosa, who is heading the project. This is a project for 100 percent clean energy, another step toward the use of renewable energy that is in harmony with the environment, Espinosa said. Cuba has a national program to promote the use of alternative energy sources to replace traditional fossil fuels, which are now much more expensive in the international market, he said. This year, Cuba opened a 2.6MW solar park in the central province of Cienfuegos similar to the Pinar del Rio facility. In Pinar del Rio, 88.99 miles from Havana, solar panels are used to power schools, health centers and remote communities.